So how many dwarfs can you name? While you're thinking about it, this beautiful Snow White puppet is sure to bring any child's enjoyment of the classic fairy tale and landmark cartoon to life. 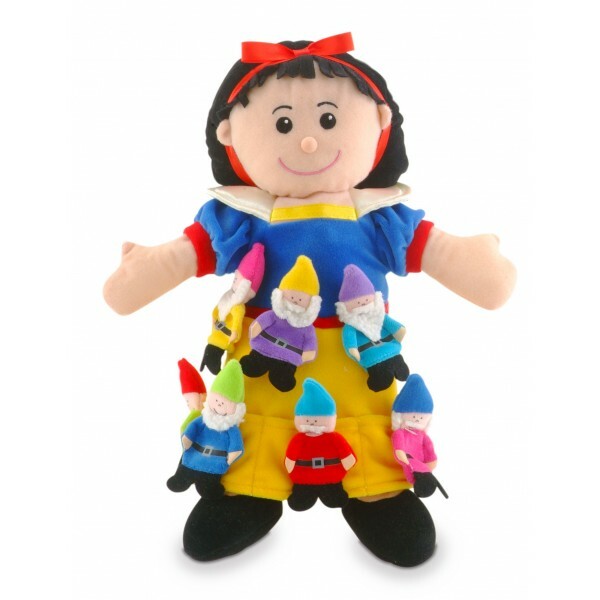 The Snow White puppet is soft and stunningly lifelike, and with dwarf size finger puppets of Grumpy, Happy, Sleepy, Bashful, Dopey, Sneezy and Doc included (well done if you got them! ), re-enacting the enchanting story of Snow White has never been so easy. The puppets are beautifully soft, very durable and completely hand washable, so they can be well loved and still look great. The set includes all the main characters, so it's easy to bring the story to life by recreating your little one's favourite scenes.